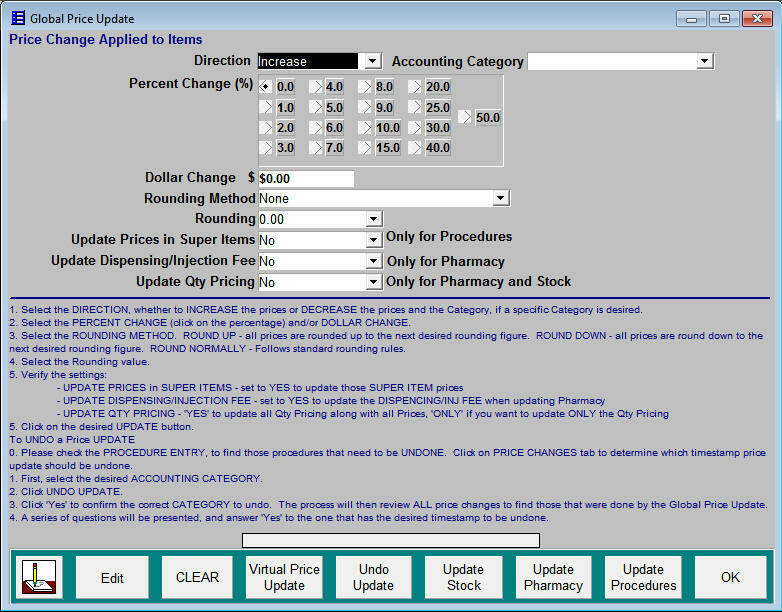 Price Update allows you to globally change prices for Procedures, Pharmacy and Stock based on numerical or percentage changes. Specific Billable Categories can be selected, and a Virtual Price Update previews the changes so you can review before applying. 4. GLOBAL PRICE UPDATE form will open, with instructions on the form. 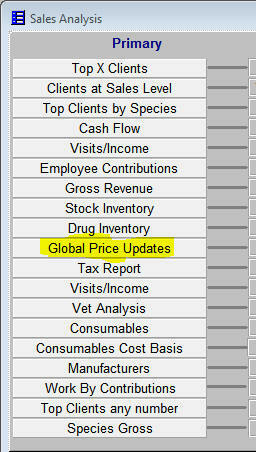 Use the VIRTUAL PRICE UPDATE to view the proposed changes before you apply them. Warning: Before running Global Price Update, contact BWCi so we can make a backup of the Procedures, Pharmacy and Stock the night before. This is just a precaution in case you apply a Price Update that was not the desired change.